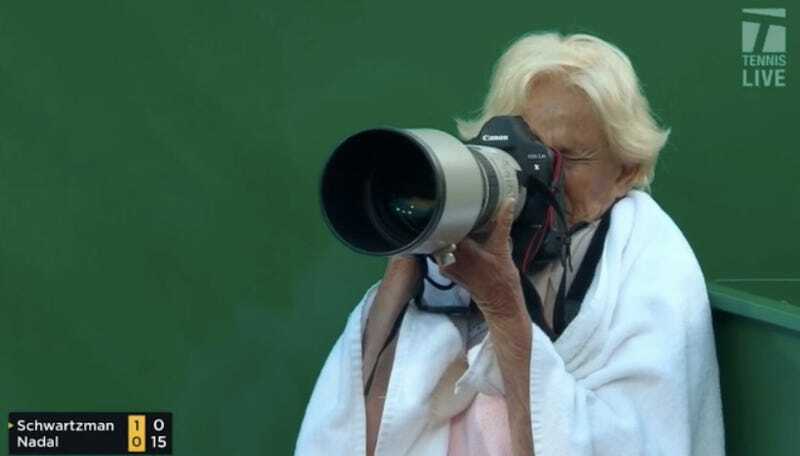 This towel-draped snowbird, posted up on the clay courts of Monte Carlo snapping photos of some of the world’s best tennis players, is my new hero. If you know who she is, please tell me so I can follow her life’s path. Oh Come On, The Blue Jays Still Won&apos;t Commit To Calling Up Vlad Guerrero Jr.